That night at tea he asked Mother if she had a green leather note-book with silver corners. She had not; but when she heard what he wanted it for she gave him a little black one. Recently, I have been going through a phase of revisiting my favourite childhood reads to see if they still garner the same awe and satisfaction when read as an adult. This, I was happy to discover, is as beloved to me now as when I first read it as a child. Question: Why do I read Children's Literature? Answer: I read them because they are feel good stories and they fill you to the brim with hopes. They teach you great lessons through simple actions and easy sentences. 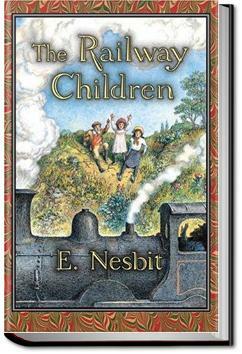 Question: Did The Railway Children fulfill these expectations? I am overwhelmed by the emotions and was hungover for a day. The whole journey throughout this book was magical. It was nostalgic. It was beautiful.